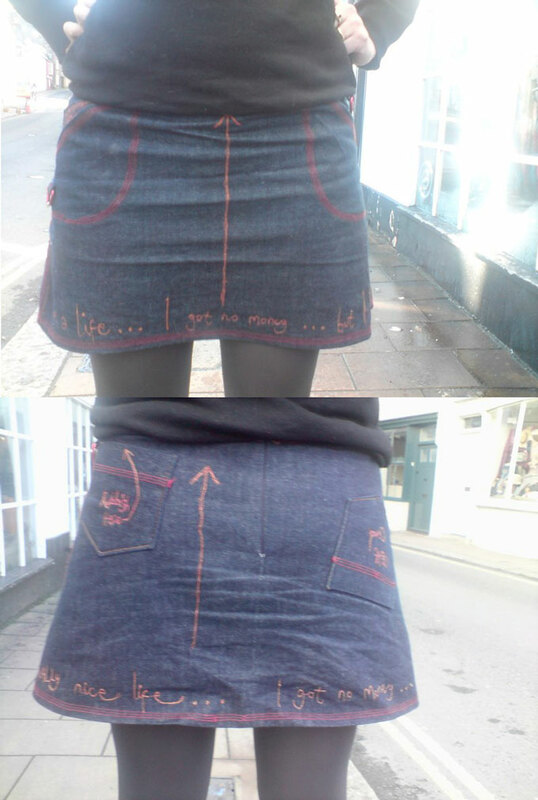 Bess with her ‘Credit Crunch’ free-embroidered denim skirt. One of the back pockets is upside-down so she couldn’t stuff them full of rubbish, and so she didn’t have to line them up. Win:Win!